10 No Bed for Beatle John - Yoko Ono&Ebony Bones! 小野洋子，一个神秘而绮情的女人。一个擅于在不动声色中制造艺术事件的女人。一个高龄仍专注表现出位的女人。裸露、和平，是她的御用主题。她是哲学家？文学家？艺术家？音乐人？抑或是电影人？很难下定论，但颁给她任何一个头衔都不为过，因为她在上世纪60年代就能轻松驾驭上述每一个领域。可惜的是，纵使才情万千，这样一个奇女子却一生为声名所累，始终背负着其前夫———“甲壳虫乐队”灵魂人物约翰·列侬的盛名。2004上海双年展上，我们惊喜地发现了她的六件作品———2件装置作品和4部电影短片，裸露、诗意、平和依旧在冷眼旁观中绽放。作为一个艺术制造者从旁观者的视角诠释她的出位思想，这便是前卫派小野洋子特立独行的艺术风格。 上世纪60年代初，才华横溢的小野洋子已是当时纽约前卫艺术舞台上的风云人物。1964年，小野洋子在卡耐基诵厅第一次表演了她最为出名的行为作品《切片》：随机挑选上台的几位观众被要求用剪刀将她的衣服裁成碎片，直至全身赤裸。那年，她32岁。1966年9月，她在伦敦再次表演了《切片》，在英国艺术界引起轰动，观众席上的约翰·列侬于是见到了自己“一生里最重要的女人”。2003年9月，70岁的洋子在巴黎又一次表演了《切片》。她在台上说：“来吧，剪下我的衣服，随便哪里；每个人剪下的面积不要大于一张明信片，并请将这碎片送给任一个你爱的人。”她解释这场事隔37年的表演时说：“1964年我第一次做它时，心里满是愤怒和不安，但这次，我是怀着对你、对我、对全世界的爱而做的。” 即使被视作导致披头士最终解散的罪魁祸首，即使列侬为了她整整5年没有公开露面，即使在列侬死后20年仍不放弃宣传他“爱与和平”的理想而被部分歌迷抨击为借亡夫之名发财，但几十年来小野洋子依旧在当代艺术领域和音乐领域崇尚着自己的出位。日前，她在一个同性恋集会上参加了《每个男人都有一个爱着他的男人》的合唱，这是她20多年前所写的老歌《每个男人都有一个爱着他的女人》的“同性恋版”，仅以此曲表达对同性恋婚姻的支持。因此，即便饱受争议，小野洋子仍然身体力行东方艺术家少有的表达方式和叙事模式。因为在她的艺术视角里，艺术品和欣赏者都被她绝非本意却绝对自然地设计好了，沿着她的思路进行展示和观察，枯燥而乏味，却异常冷静地客观而真实。 本届双年展上，在美术馆一楼展出的《愿望树》是小野洋子多年来一直坚持的一项生活装置作品。“愿望树”是日本的一项传统民俗，人们会把各自的心愿写在小纸条上，绑在神社里的愿望树上来祈祷自己的幸福。然而幸福本身是有多种指标和方向的，收集愿望树上的纸条，小野洋子自己也就变成了一个各种愿望的收藏者。 在美术馆四楼放映厅播出的小野洋子四部电影短片中，我们再一次跌倒在她擅于制造艺术事件的手腕下。在跟随她的步调一起冷眼旁观她一手炮制的艺术事件中，我们的惯性思维被扰乱，社会秩序被骚扰，既而对现有的世界观提出质疑。 电影《苍蝇》用了所有的胶片展示了一位寂然不动的女士，看上去几乎是在昏睡。惟一运动的东西是一只苍蝇，镜头跟着它停留在她身体的不同部位。这部电影是如此无聊，镜头随着苍蝇而移动，视觉随着镜头而移动。洋子把这部影片描述为自传体的篇章，并选择了一种引人注目的精妙方式来表达她自己。 电影《末端》中，洋子把她在纽约的艺术家和音乐家朋友们集合在一起，拍下了他们裸体在路上走来走去的场景。又是无聊而朴素的镜头。但也许这部电影最让人惊讶的地方在于：这是你每天在大街上都能看到的人和事物———但他们全部是赤裸的。 电影《强奸》是洋子最复杂也是最迷人的一部片子。根据设想，摄制组任选了一位在大街上碰到的妇女———伦敦的一个讲德语的女人。摄影机穷追不舍地跟到她的公寓。女人由最初的好奇、合作变成沮丧和困怒。一切只能使观众导出这样的困惑：这个女人被跟踪，还是她是个演员？我们听不懂她的语言，但我们能明白她的行为和表情。影片试图探讨摄像机对隐私的侵犯问题，并进一步研究我们对刺探别人隐私的嗜好。 这就是小野洋子，一个被约翰·列侬称为“世界上最有名的不为人知的艺术家”，在71岁高龄的年纪，依旧专注在自己的出位世界里，精妙、细致、冷眼旁观地雕刻着让人目眩的裸露和真实。 Few women in the history of rock & roll have stirred as much controversy as Yoko Ono. Although her romance with John Lennon was hardly the only factor straining the relationships between the individual Beatles, she made a convenient scapegoat for the group's breakup, and was repeatedly raked over the coals in the media for the influence she held over Lennon, both in his life and his music. Ono's own work as an artist and musician didn't mitigate the public's enmity toward her; to the average man on the street, her avant-garde conceptual art seemed bizarre and ridiculous, and her highly experimental rock & roll (which often spotlighted her primal, caterwauling vocals) was simply too abrasive to tolerate. That view wasn't necessarily universal (or true), and in fact the merits of her work are still hotly debated. 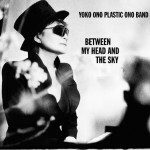 Regardless of individual opinion, Ono has left a lasting legacy; she was an undeniably seminal figure in the history of performance art, and elements of her music prefigured the arty sides of punk and new wave (whether she was a direct influence is still debated, although the B-52's did admit to drawing from her early records). Moreover, between Lennon's assassination and the myriad drubbings she's taken in the press and the court of public opinion, an alternate portrait of Ono as a strong, uncompromising survivor has emerged in more recent years. Although her link with John Lennon will always be foremost in the public's mind, Ono's own life story is fascinating in its own right. She was born February 18, 1933, into a wealthy Japanese family in Tokyo. Her childhood was somewhat lonely and isolated; her father, a banker and onetime classical pianist, was transferred to San Francisco a few weeks before she was born, and her socialite mother was often busy throwing elaborate parties. She didn't meet her father until age two, when the whole family moved to San Francisco. However, they returned to Tokyo three years later to avoid the anti-Japanese backlash that was beginning in the United States in response to Japan's growing military expansionism. Ono was educated at the Gakushuin School, the most exclusive private school in Japan (the Emperor's sons were her classmates). She began classical piano lessons at a very young age, and later received vocal training in opera. In 1945, her mother took the family to the countryside to escape Tokyo, in time to survive the massive Allied bombing of the city; however, rich city dwellers were unwelcome, and the Ono children were often forced to beg for food. After the war, Ono's father transferred to New York, and she moved to the U.S. in 1952, where she studied music at Sarah Lawrence College. During this time, Ono became enamored of classical avant-gardists like Schoenberg, Webern, and especially Cage. She also began dating Juilliard student Toshi Ichiyanagi, who shared her interests and became her husband (over her family's objections) in 1956. The couple moved to Manhattan, and Ono made ends meet by teaching Japanese art and music in the public school system, among other sporadic jobs (she'd rejected her parents' wealth and the attendant lifestyle). The couple's Chambers Street loft soon became a hot spot in the nascent downtown New York art scene; Ono frequently staged "happenings" (sometimes in partnership with minimalist composer LaMonte Young) that featured music, poetry, and other performance, and John Cage used the loft space to teach classes in experimental composition. During this period, Ono's art was largely conceptual, sometimes existing only in theory or imagination; she created a series of instructional pieces suggesting nonsensical activities, which were later published in book form as Grapefruit in 1964. Her first solo show was at George Maciunas' gallery in mid-1961, but the same year, Ichiyanagi and Ono separated, with the former returning to Japan. That November, Ono performed at the Carnegie Recital Hall (not the main hall), an event that featured a miked-up toilet flushing at various points throughout the show. It received negative reviews, however. With her parents' encouragement, Ono returned to Japan in March 1962, seeking a resolution to her marriage.